We love this large woven ribbon design by Michelle for Cloud 9 Fabrics. 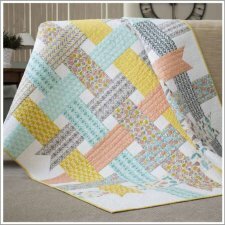 She designed this quilt to feature their new collection, Grey Abbey (well, relatively new; it came out in February). 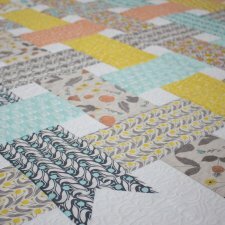 As with all Cloud 9 projects, the downloadable PDF is easy to follow, with clear photos and illustrations to guide you through every step.